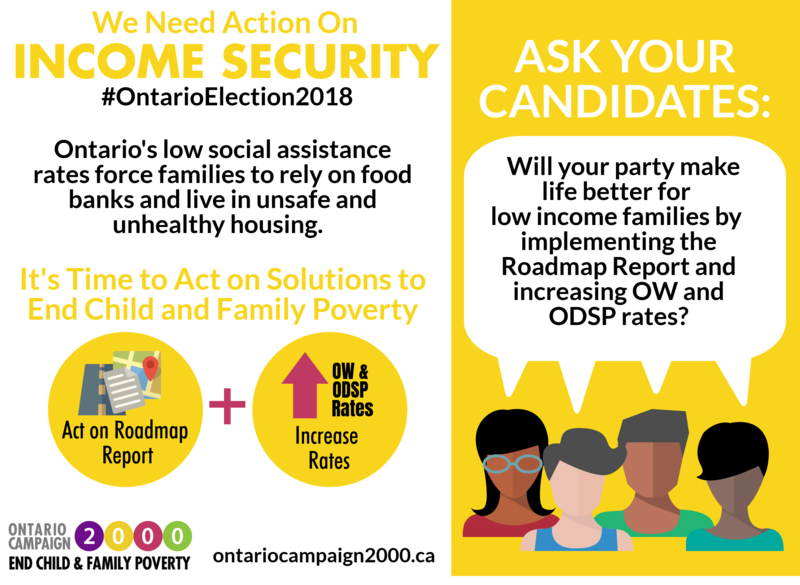 Ontario Campaign 2000’s new infographics will help you pose questions to candidates at your doorstep and at townhalls. 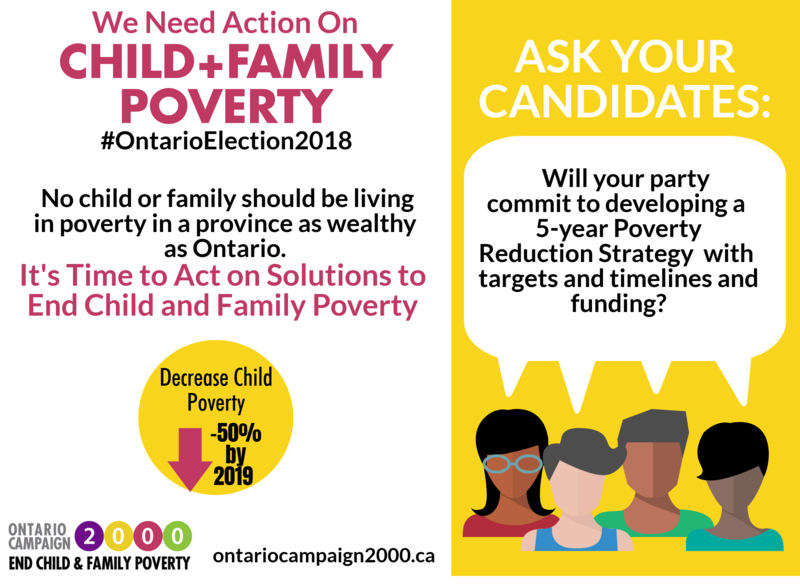 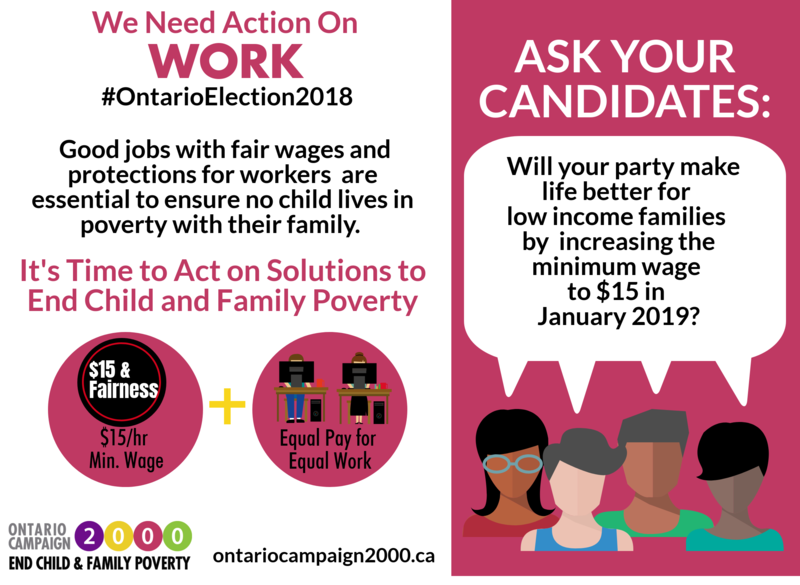 Share these infographics on social media to help you and your networks keep the heat up for party commitments to end poverty before the June 7th election! 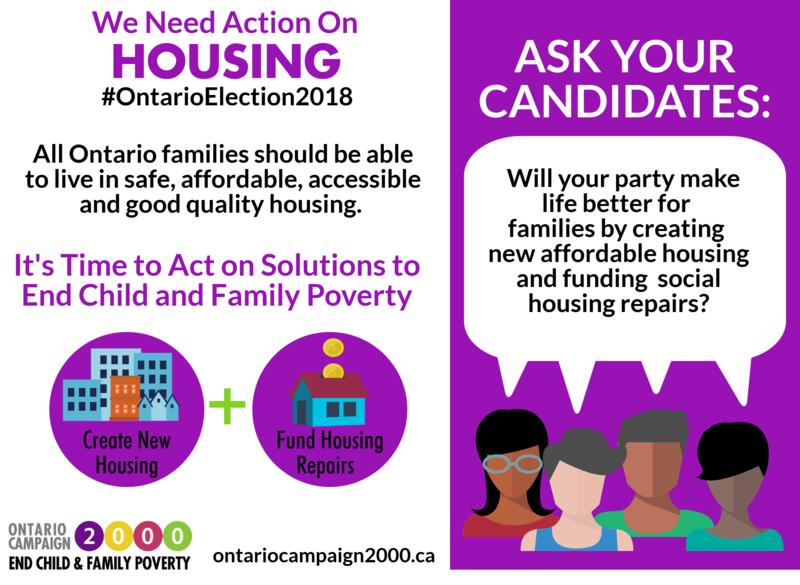 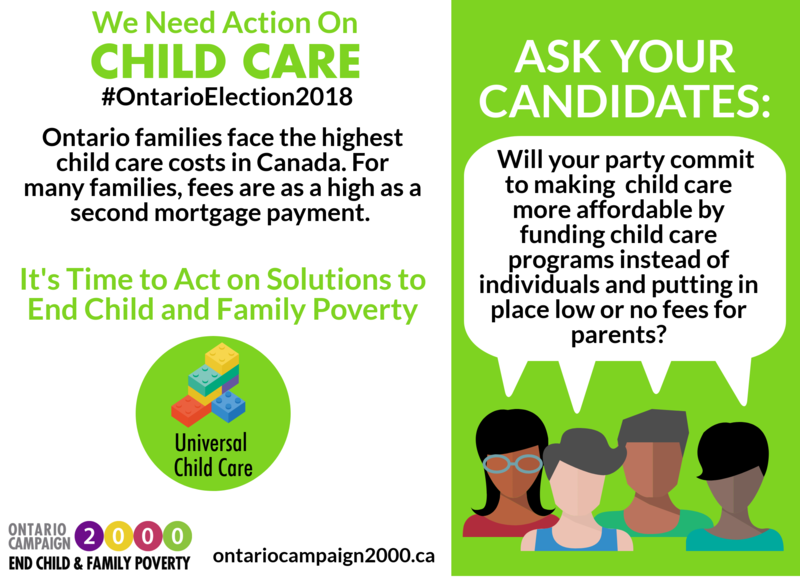 Click for shareable infographics for Facebook and Twitter on these important issues: housing, income security, child poverty targets and poverty reduction strategies, child care and work. 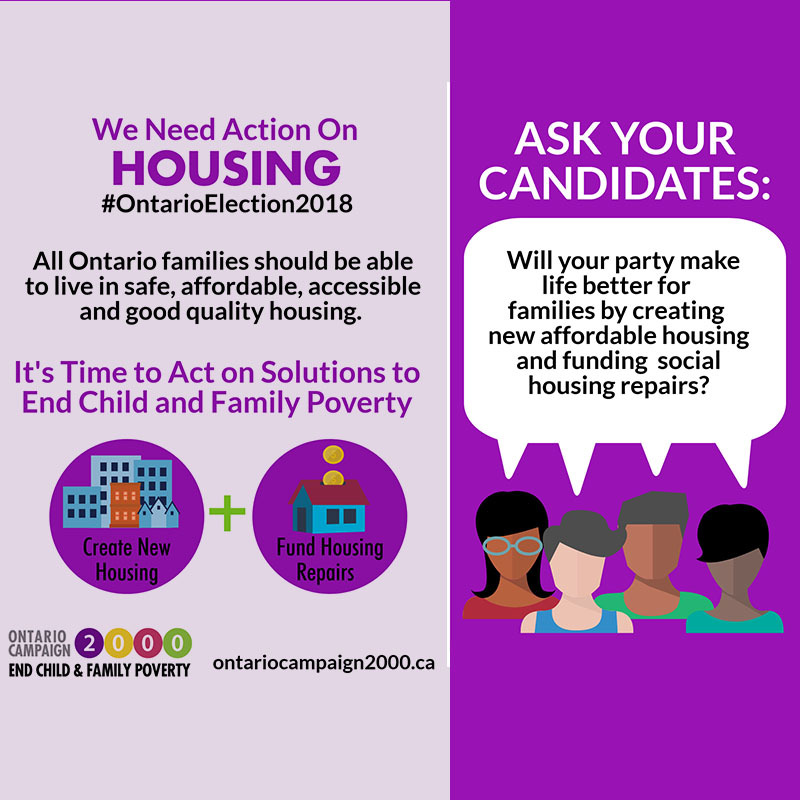 If you want to print up the graphics – use these PDF files on housing, income security, child poverty targets and poverty reduction strategies, child care and work.